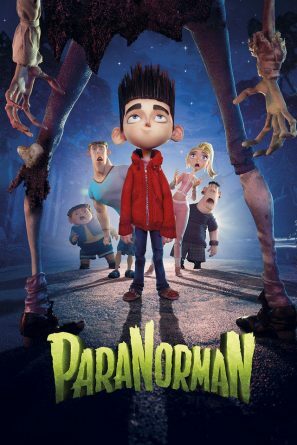 A clever, comic, stop-motion animated adventure, ParaNorman looks fantastic (it’s made by the same animation studio as Coraline) and boasts some terrific slapstick moments as well as scares (do note this is aimed at older kids as there are some horror elements). It is quite slow early on, and a little heavy-handed about the subject of bullying, but once the action starts there’s fun to be had and some great characters to enjoy, including Norman’s cheerleading sister (Kendrick) and Neil’s lunkhead brother (Affleck). This movie is really aimed at children over the age of 8 and the animation style and ‘scary’ bits may be too much for younger viewers. Bear in mind this is a movie about the dead, undead, zombies and ghosts, horror themes that may disturb your child. Kids may be scared by the witch’s cloud over the town. The protracted death of Prenderghast may upset younger kids, as may the scene when Norman finds his body and it falls on him. The scene in the woods when the trees seem to come alive may also upset younger viewers. The dead that come back to life are more funny than scary but may frighten young children at first. The opening scene (in which we see the movie Norman is watching) may also be too scary for the under-8s.